We finally launched our book! 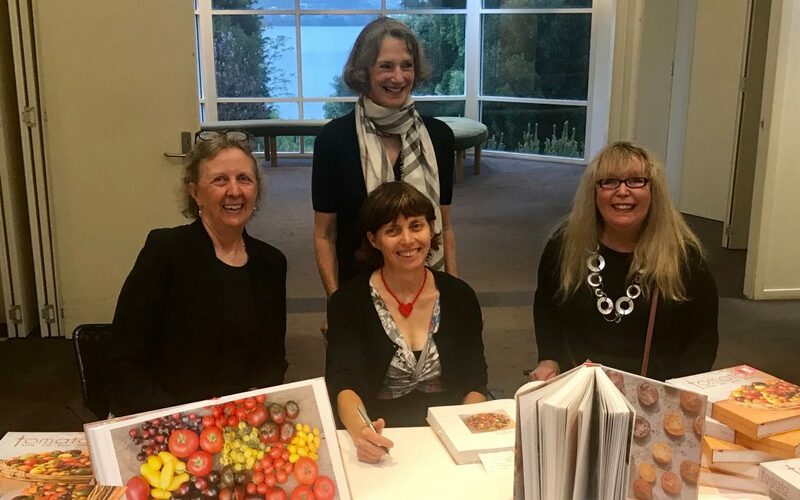 At the Royal Tasmanian Botanic Gardens and With the help of the Tasmanian Governor, Her Excellency Kate Warner, we sent our book out into the world! McHenry’s plied us with over-strength Bloody Mary’s and the RTBG put on a spectacular spread of tomato based treats. We all stayed on for the annual epic tomato sale at the RTBG, with Margot White and her volunteers raising over 8000 seedlings of 200 varieties,(all featured in our book) as a major fundraiser for the gardens. Our signing pens all got a good workout!